The NHL season opens tonight with three games,1 which makes today final call for season previews. Personally, I like to wait until the very last moment to ensure that I can be as wrong as humanly possible about everything. So here we go! That’s right, “Metropolitan.” Yes, that’s the actual name. Come on, guys, stop laughing, the NHL’s marketing department worked really hard on this and that was the best they could come up with. Anyway, in the spirit of the league’s new format, I figured I’d realign the league yet again for this preview. So here’s a look at all 30 teams, shifted into four brand-new divisions that I made up: the contenders, the also-rans, the middle of the pack, and the teams for which I have absolutely no idea. Hey, it makes more sense than “Metropolitan,” right? Let’s get started. Offseason report: Not much changed, really. The cap squeezed out a few depth guys like Dave Bolland and Ray Emery, but the core remains intact. Outlook: Oh, I’d say it’s pretty positive. They were the league’s best team from start to finish last year, and they’re bringing back essentially the same roster. 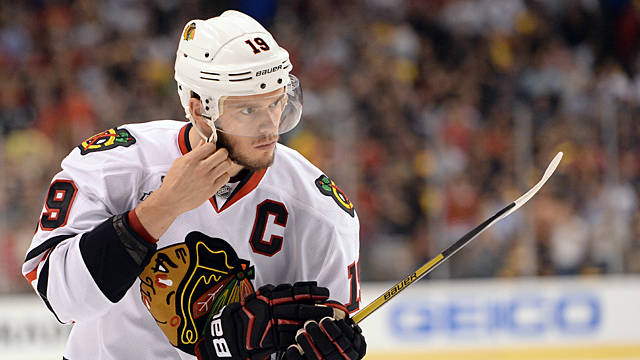 Let’s not overthink things: The Blackhawks are the favorites right now. If there’s one caveat, it’s in net. After years of Blackhawks goaltending by committee, Corey Crawford’s six-year extension makes it clear that this is his team now. If he plays the way he did last year, he’ll be worth every penny. But not everyone is sold. Best case: We pretty much saw it last year. Worst case: Once you’ve won it all, anything less than a repeat can seem like a disappointment. The NHL hasn’t seen a team go back-to-back since the Red Wings in 1997 and 1998; Hawks fans should probably resign themselves to a letdown. Offseason report: The Bruins dealt Tyler Seguin to the Stars in a seven-player blockbuster that landed them Loui Eriksson. Outlook: For a team that was two wins away from a championship, the Bruins certainly didn’t stand pat. They replaced future Hall of Famer Jaromir Jagr with future Hall of Famer Jarome Iginla, parted with key pieces like Nathan Horton and Rich Peverley, and gave Tuukka Rask a massive contract, because doing that for a goalie never backfires. Best case: The Zdeno Chara–Patrice Bergeron–Rask trinity remains virtually impossible to score against, the Bruins head back to the final, and then get just one or two more bounces once they’re there. 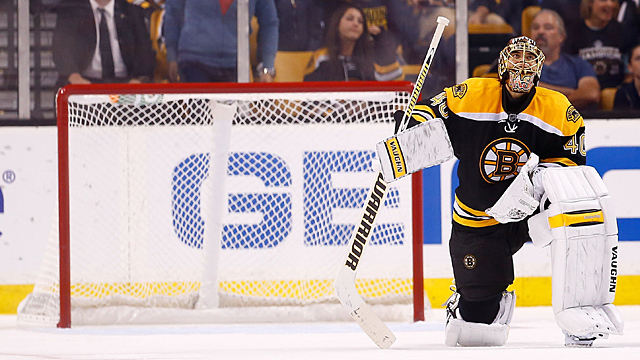 Worst case: Rask struggles under the weight of his new contract. Or, more likely, Rask struggles under the weight of random fluctuations in normal performance, and we all blame it on the contract anyway because narratives are fun. Offseason report: The Penguins said good-bye to all three of their trade-deadline rentals: Jarome Iginla, Brenden Morrow, and Douglas Murray. Big extensions for Evgeni Malkin and Kris Letang meant Pittsburgh couldn’t be a major player in free agency, but it did welcome back Rob Scuderi. Outlook: The Penguins are a top-heavy team, featuring some of the league’s best (and highest-paid) players, along with a spotty supporting cast whose main job is to tread water while Crosby & Friends catch a breather. That worked pretty well last year, when the Penguins seemed like an unstoppable juggernaut — right up until they ran into the Bruins for what turned out to be one of the most lopsided playoff series ever. Of course, any discussion of the Penguins’ chances always ends up coming back to goaltending. Marc-Andre Fleury has a Cup ring, but he has struggled badly over the past few postseasons. Pittsburgh wisely invested in an insurance policy last year by bringing in Tomas Vokoun, and he played well after taking over for Fleury in Round 1. But Vokoun is out indefinitely after needing a procedure to dissolve a blood clot in his pelvis, and his career may be in jeopardy. So are the Penguins panicking? They might be, yeah. Best case: The stars dominate, the depth guys are good enough, and Fleury plays well and/or Vokoun makes it back for the playoffs. Worst case: Other teams figure out how to do whatever it was that the Bruins did to them in the playoffs. Offseason report: They traded backup goalie Jonathan Bernier to the Leafs for two young players and a pick. 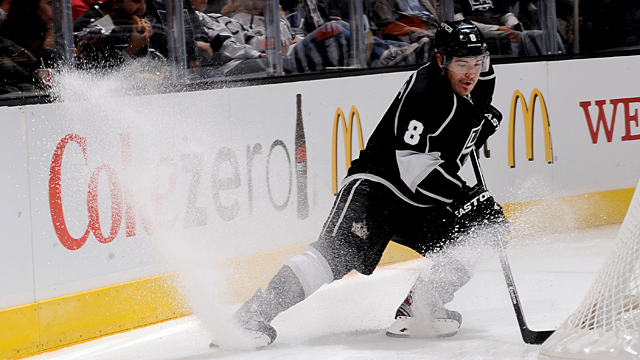 Outlook: It’s hard to find anyone who doesn’t like the Kings’ chances. The average fan sees a team built from the net out, featuring a top goaltender and a pair of excellent young defensemen. Stats guys love them because they’re a dominant possession team. Old-school types love them because they’re physical and know how to win. And everyone loves Darryl Sutter, because Darryl Sutter is awesome. Scoring has been an occasional problem over the past few seasons (though they were third in the West in goals last year), and they’ll feel the loss of depth guys like Scuderi and Dustin Penner. Still, there’s a lot to like here, and at worst, the Kings should spend the year battling the Canucks for the division title. Best case: Like last year’s Blackhawks and Bruins, the Kings finish off a short regroup and return to the final after a brief absence. Worst case: Jonathan Quick gets hurt. They’re kind of screwed if that happens. 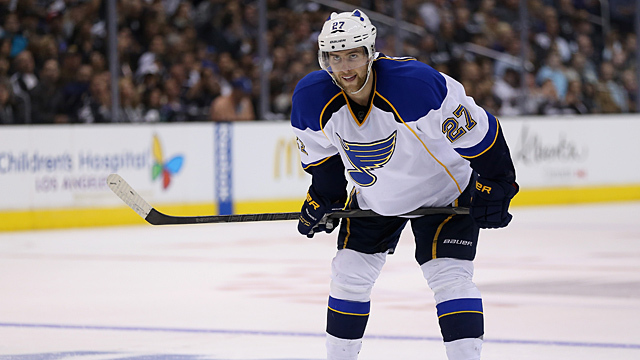 Offseason report: Despite some initial concern about a holdout, the Blues eventually got franchise defenseman Alex Pietrangelo signed to an extension. Outlook: They’re darn near impossible to score on, thanks to one of the league’s best blue lines, two good goaltenders, and the coaching of noted defensive mastermind Ken Hitchcock. The offense is a bigger question, and they’re hoping that free agent Derek Roy’s production can replace the traded David Perron. Best case: The Blues end up being good enough to win a game in the Stanley Cup final for the first time in their franchise’s 47-year history. Worst case: They continue to be the team that looks great during the regular season but just can’t quite find a way to beat the real contenders come playoff time. 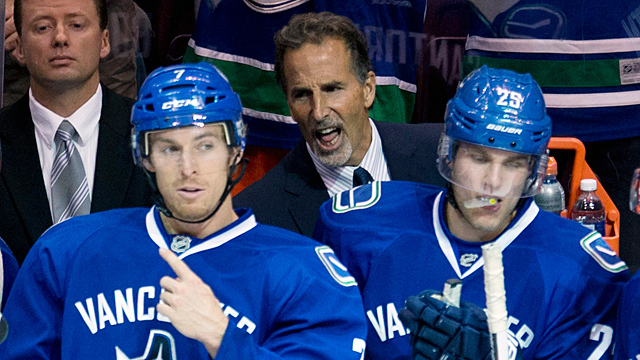 Offseason report: The Rangers fired John Tortorella, replacing him with former Canucks coach Alain Vigneault. 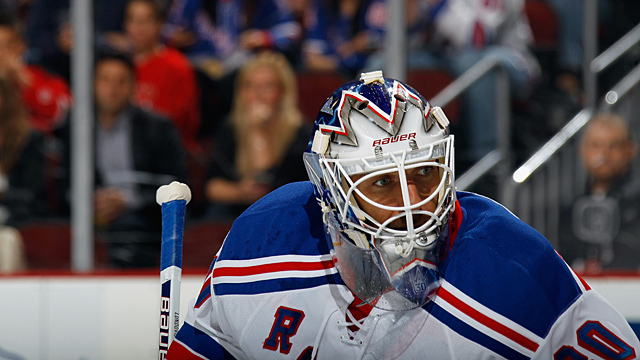 Outlook: On paper, you could make a case for the Rangers being the most talented team in the league. Henrik Lundqvist is among the best goalies in the world, the blue line is excellent, and the forwards are a nice mix of veteran star power and emerging talent. If replacing the cranky Tortorella with the marginally less cranky Vigneault can give them a boost, they could be the East’s best team. If not, they may not get another shot. Their current cap chart is fascinating, with only seven players signed past this season — and one of those, Brad Richards, is a guy everyone assumes will be bought out. That will give management the opportunity to hit the reset button if the roster can’t get to the next level. Best case: Lundqvist has his usual season, Richards rebounds, Rick Nash becomes that dominant sniper we all kind of assume he is even though his numbers never quite show it, and the Rangers blow past the Penguins and Bruins to the top of the conference. Worst case: At least one of those expiring contracts becomes a distraction — we are all looking in your direction, Henrik — and the Rangers remain stuck in the middle of the pack. Offseason report: Detroit handed a steel chair to Daniel Alfredsson, then celebrated when he waffled the Ottawa Senators organization over the head with it. Outlook: Everyone assumes the Red Wings will be good, because the Red Wings are always good. And there’s lots of reason for optimism heading into 2013-14. Don’t forget, this is the team that had the invincible Blackhawks on the ropes in last year’s playoffs before somehow letting the series slip away. Goalie Jimmy Howard has developed into a star who could push for a starting role on the U.S. Olympic team. And the move to the East should help, both in terms of travel and quality of competition. But there are warning signs. 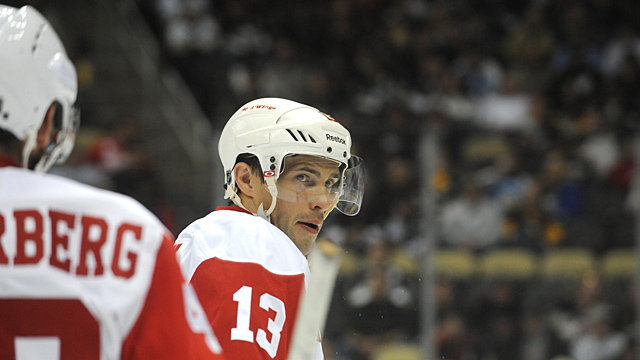 The core is an old one, with players like Pavel Datsyuk, Henrik Zetterberg, and Johan Franzen all in their 30s. Adding Alfredsson doesn’t make them any younger, obviously, so the potential for major drop-offs and/or injuries is significant. Best case: They face the Senators in the first round and win on their way to another deep playoff run. Worst case: They face the Senators in the first round and lose. Seriously, that matchup is happening. Don’t even try to deny us, hockey gods. 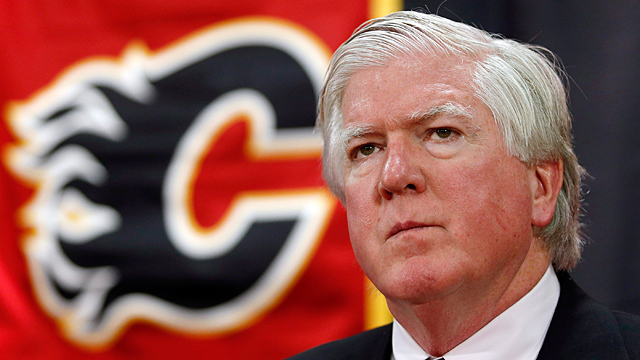 Offseason report: Good god, that’s Brian Burke’s music! Also, longtime goalie Miikka Kiprusoff has retired, with KHL reclamation project Karri Ramo earning the starter’s job. Outlook: After spending years curled up in a ball repeating “We’re just a little last place, we’re still good,” the Flames have finally seen the light. They’ve initiated what hockey people politely refer to as a “traditional rebuild,” which is to say they’re going to burn the whole roster to the ground and start over. Ideally, that will involve finishing last this year and drafting a franchise player like Sam Reinhart. Then again, new president of hockey ops Burke has never had much patience for rebuilds. If, like everyone seems to expect, he eventually fires GM Jay Feaster and takes over the role himself, all bets are basically off. Best case: Last overall. Hey, if you’re going to tank, tank. Worst case: The team is terrible, but Ramo steals just enough games to move them a few notches up the standings and down the draft board. Offseason report: Um … not many changes, actually. The big moves that most expected — a Ryan Miller trade, a Thomas Vanek trade, maybe even a new GM — never happened. They did add Henrik Tallinder. Outlook: The Sabres weren’t good last year and they haven’t changed all that much, so you do the math. Most still expect Miller to be traded at some point, and probably Vanek as well, but that may have to wait for the deadline. Like with any rebuilding team, the bigger story will be the development of the team’s younger players. Tyler Myers looked like he was on the path to Norris contention two years ago, but has struggled badly since then. And Cody Hodgson will be expected to perform like a star, because he’s now being paid that way. Best case: Miller reverts to a Vezina-level performance, Vanek is impressed enough to re-sign, and the team stays in the playoff hunt. Or the Sabres are terrible, they trade Vanek and Miller for future pieces, and earn a high draft pick. Either of those would be fine. Worst case: The Sabres get stuck in the middle — not good, but just good enough to talk themselves out of moving their stars. They narrowly miss the playoffs, after which Miller and Vanek bolt as free agents. Offseason report: The Panthers agreed to terms with several veterans (including former Vezina winner Tim Thomas) just days before the season started, after realizing that otherwise their biggest offseason addition would have been Scott Gomez. Outlook: On one hand, the Panthers had terrible luck with injuries last year and have added some talent at very reasonable prices. On the other, the worst team in the league has moved to a much tougher division, still doesn’t have enough NHL-caliber players, and will draw its inspiration from rabid crowds like this. Good luck, Panthers! Best case: Thomas turns out to still be one of the best goalies in the league, rocketing the team all the way up to … I don’t know, 27th? Sorry, Panthers fans, that’s pretty much the best I can do. Worst case: They spend an entire season finishing last and then lose the draft lottery. Again. 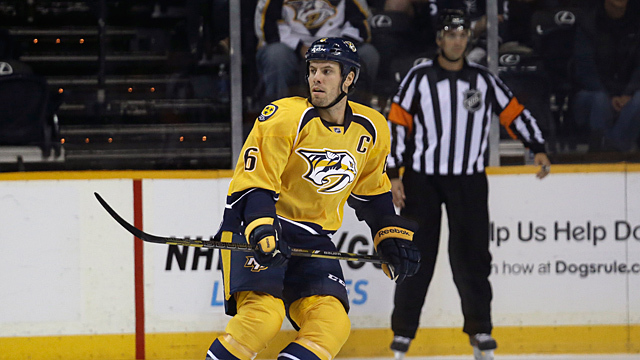 Offseason report: The biggest addition was Mike Ribeiro. 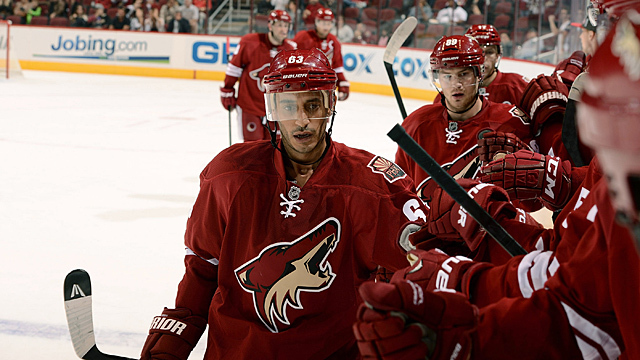 Phoenix also re-signed goalie Mike Smith and, more importantly, the duo of GM Don Maloney and coach Dave Tippett. Outlook: The defense is strong, with Keith Yandle already a star and Oliver Ekman-Larsson widely considered one of the best young blueliners in the league. Smith looked shaky last season but was excellent two years ago, so if he can rebound, then the Coyotes should be tough to score on. And they’ll need to be, because they’ll struggle to score goals. Ribeiro helps, but he’s more of a setup man and this team doesn’t have many finishers. Radim Vrbata was a nice story last year, though you’d be forgiven for wanting to see him do it over a full season before getting too excited. Best case: Smith is at his best, Ekman-Larsson surges into the Norris conversation, and Ribeiro sparks just enough scoring to get them into the playoffs. Worst case: More rumors about moving the franchise. Please, we’re begging you, anything but that. Offseason report: Even though they had the fourth pick, the Predators somehow wound up with arguably the best prospect in the draft, defenseman Seth Jones. Outlook: You could make a legitimate argument that the Predators have the league’s best defenseman (Shea Weber), goalie (Pekka Rinne), and prospect (Jones). They also have … um … Carrie Underwood’s husband. OK, that’s not quite true. They do have gifted prospect Filip Forsberg, veteran Matt Cullen, and the recently re-signed Roman Josi, not to mention David Legwand chasing the all-time NHL record for most consecutive years of you saying “Wait, he’s still on that team?” That’s enough to ice a competitive lineup, in the sense that they’ll be competitive while usually losing. Best case: Weber and Rinne dominate, at least a few other players have career years, and Jones wins the Calder. Worst case: They embark on several years of last-place finishes, all of which involve losing the lottery, as the draft gods enact their revenge for the Jones pick. 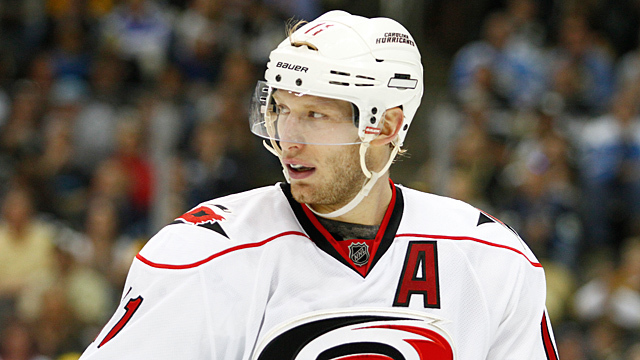 Offseason report: The Hurricanes opted for a fairly quiet offseason after last year’s hectic summer, which saw them trade for Jordan Staal and sign Alexander Semin. 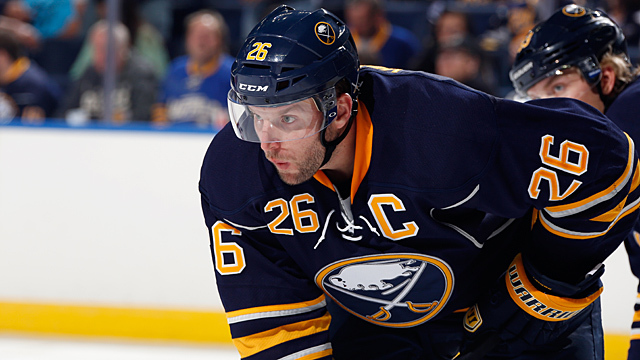 This year’s biggest acquisitions were a pair of ex-Sabres, Andrej Sekera and Nathan Gerbe. Outlook: Despite bringing in a pair of big-name forwards, the Hurricanes were a disappointment last year, thanks to an awful defense. 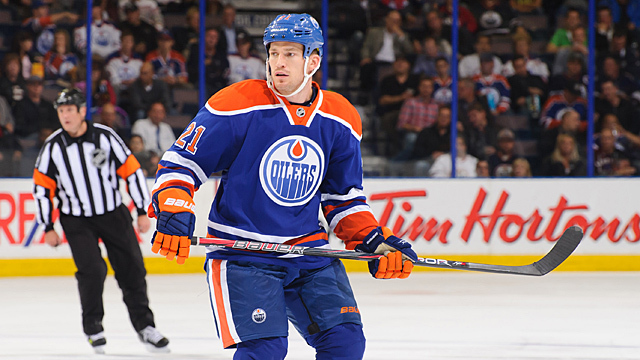 Sekera will help there, and even former Maple Leafs whipping boy Mike Komisarek could be an upgrade. The forwards should be solid if top-heavy, with the Staal brothers, Semin, and Jeff Skinner all falling into the “star” category (and maybe even Jiri Tlusty if we’re feeling generous). The key, as it is with most teams, will be goaltending. Cam Ward is a divisive player — some consider him a superstar, others argue he’s an average goalie who happened to have a hot streak during the 2006 Cup run. He was hurt for most of last year, so if he’s back to 100 percent, there’s at least a chance for the team to enjoy a decent season. Best case: Ward dominates, the forwards stay healthy, and the team slips into the playoffs for the first time in five years. Worst case: The team can’t overcome a leaky blue line, leading to a repeat of last year’s disappointment. 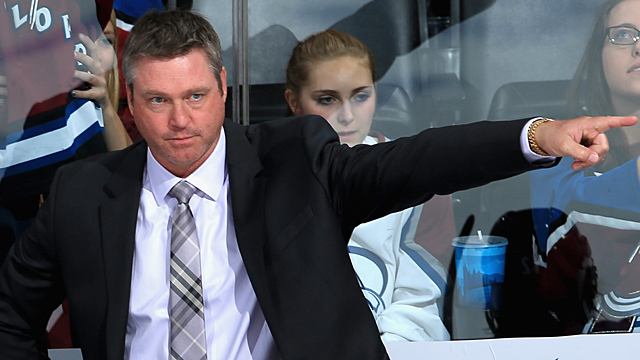 Offseason report: Two of the most popular players in franchise history, Joe Sakic and Patrick Roy, were brought in as VP of hockey operations and coach, respectively. They also won the draft lottery, and used the top-overall pick on stud center Nathan MacKinnon. Outlook: Well, at least they’ll be interesting. The team is stacked with young talent, especially up front, that could evolve into a powerhouse someday. That almost certainly won’t happen this year, but at least there’s hope. And while Roy may be a notorious hothead with no professional coaching experience, his success in the junior ranks actually makes him a decent choice to lead a team built around youth. Best case: Several of the young stars make the leap at the same time, MacKinnon is the real deal, and the Avs morph into the high-flying success story that the Oilers have been trying (and failing) to become over the past few years. Worst case: The forwards make their share of youthful mistakes, the defense continues to be inconsistent, and the goalies are too distracted by the threat of Roy randomly rushing out to center ice to try to fight them. These teams should be good. Not “contending for a championship” good. More like “hang around the playoff race and maybe win a round at most” good. In fact, it’s likely that by midseason, you’ll have forgotten that at least a few of these teams even exist. There’s a non-zero chance that one of these teams will win the Stanley Cup, just to make me look dumb. Offseason report: They added Tyler Kennedy. Seriously, that’s pretty much it. Outlook: We’ve already covered the Sharks’ odd offseason, in which they basically stood pat despite an aging core that had most assuming they’d either load up or tear down. 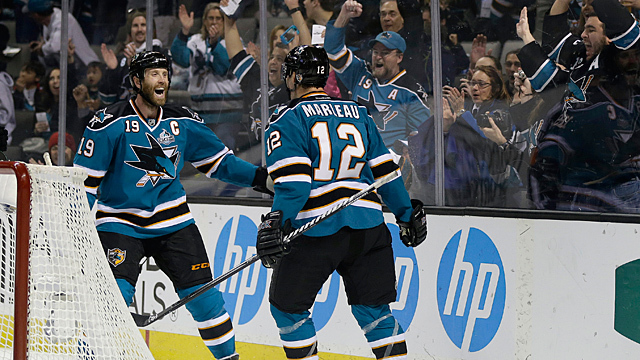 Joe Thornton and Patrick Marleau are still superstars, but they’re both 34 years old, at the point where history tells us to expect their production to start to slip. Dan Boyle and Martin Havlat are on the downside as well. On the other hand, Logan Couture is already a star at 24, and the Sharks still have one of the league’s most underrated goalies in Antti Niemi. Worst case: The old guys look old, Niemi takes a step back, and the team finds itself in danger of missing the playoffs for just the second time since 1997. Offseason report: The Jets changed conferences, finally heading to the West, where they belong. Oh, and they added Devin Setoguchi. Outlook: Winnipeg’s return to the NHL has been one of the best feel-good stories of the past few years. Which is good, because once you get past the sentimentality, there hasn’t been all that much to get excited about. The reborn Jets haven’t been good enough to make the playoffs or bad enough to make fun of. They’re just kind of there. Occasionally you see a ridiculous photo of Dustin Byfuglien or read about Evander Kane’s traffic tickets and remember that the Jets exist. Then the playoffs start, and you forget again. Can they change that pattern? The key may be in the crease. 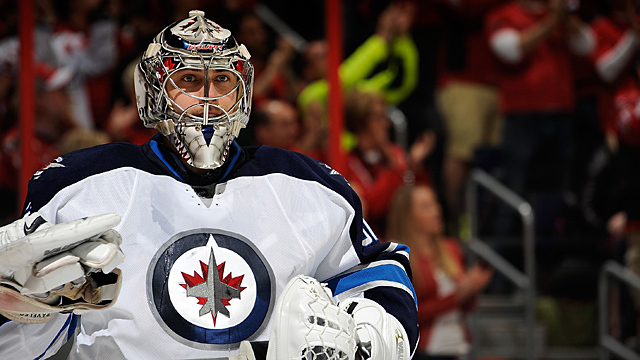 Ondrej Pavelec gets paid like a star and Jets fans treat him like a star, but the numbers say otherwise. If that changes, the Jets may finally take off. Best case: Pavelec ups his game and the Jets are good enough to seize a playoff spot in a new division that features the Blackhawks and Blues, and that’s about it. Worst case: Another also-ran year, at which point the novelty of all this starts to wear off for Jets fans. Offseason report: The Islanders finally threw in the towel on the long, strange, sad saga of Rick DiPietro, spending $24 million to buy out the last eight years of his contract. Outlook: It’s hard to get too excited about a first-round exit, but long-suffering Islanders fans can be forgiven if they viewed last year as a success. New York finished over .500 for the first time in six years, John Tavares emerged as a legitimate MVP candidate, Matt Moulson continued to score, and Evgeni Nabokov was solid. It all culminated in a rare playoff appearance during which we all jumped on the bandwagon in time to see them give the heavily favored Penguins a few scares before bowing out in six. Best case: The Islanders build on last year’s quasi success and go on to win a playoff round for the first time since 1993. 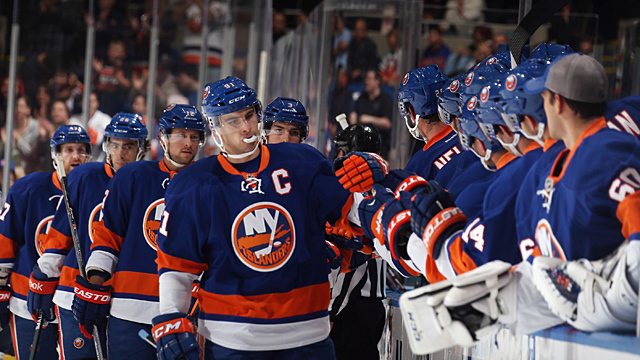 Worst case: Somebody reminds them that they’re the Islanders. Offseason report: A relatively quiet summer saw the Caps lose Ribeiro to free agency, then fill his spot with Mikhail Grabovski. Outlook: Washington spent most of last season doing a good imitation of a dying star. Alexander Ovechkin struggled, the goaltending was shaky, and new coach Adam Oates looked overwhelmed. The hockey world was all lined up to dance on the Capitals’ collective grave. And then, midway through the year, everything flipped. Ovechkin went on a tear that saw him earn the Hart Trophy as MVP and All-Star berths at two different positions (don’t ask). Oates suddenly found his footing, the supporting cast came to life, and the Caps cruised into the playoffs, where they gave the Rangers all they could handle before laying an egg in Game 7. This year’s team is largely unchanged, which is encouraging. 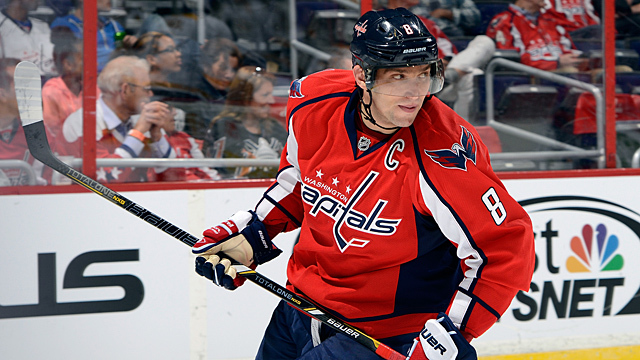 But realignment has put the Capitals in a much tougher division. Instead of beating up on notoriously awful Southeast lightweights like the Panthers and Jets, Washington finds itself grouped in the new Metropolitan Division with teams like the Penguins, Rangers, and Flyers. Best case: They look like last year’s second-half Caps. Worst case: They look like last year’s first-half Caps. Offseason report: Minnesota traded Cal Clutterbuck for Nino Niederreiter in the NHL’s biggest trade of the summer if we’re going solely by name awesomeness. Outlook: You can forgive the Wild for a slow offseason, given how much noise they made during the summer of 2012. When Ryan Suter and Zach Parise were brought aboard, it was sold as a move toward contending down the road, but probably not immediately. We’ll wait and see on the first part of that equation, but the second half turned out to be accurate. They barely snuck into the playoffs in Year 1, but any slim hope of standing in with the Blackhawks disappeared when Niklas Backstrom got hurt. The best news for the Wild may be that the teams directly ahead of them (Detroit) and directly behind them (Columbus) last season have both headed east. That should translate to a playoff spot even if the team doesn’t get any better. But they didn’t spend almost $200 million on Suter and Parise to sneak into the playoffs, so fans will expect progress. Best case: They establish themselves as the Central’s third contender alongside the Blues and Blackhawks, turning the top of the division into a Norris reunion tour. Which would be great, because the Norris Division was the best thing ever. Worst case: It’s another year of also-ran status, as fans dream of the future while trying not to notice that Parise turns 30 next year. Offseason report: Tampa Bay used a compliance buyout on longtime franchise player and captain Vincent Lecavalier. 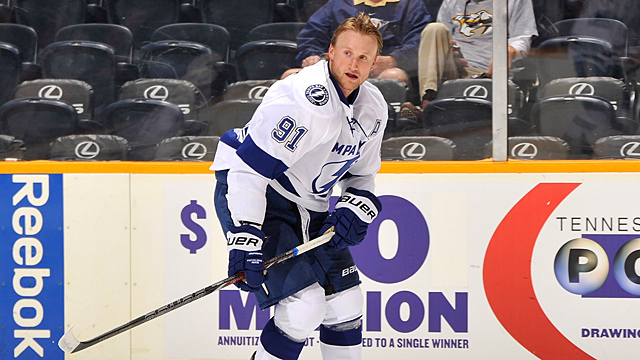 Outlook: The Lightning were awful last year, largely thanks to terrible defense and goaltending. Their only significant offseason acquisition was Valtteri Filppula, who, you may notice, is neither a defenseman nor a goaltender. That would seem to point to another long year in Tampa Bay. That said, this team has some pieces in place. Steven Stamkos is one of the five best players in the league, Martin St. Louis just won an Art Ross, and Victor Hedman has developed into a solid enough defenseman that everyone resists the urge to yell “bust!” whenever his draft position is brought up. And speaking of the draft, third-overall pick Jonathan Drouin was considered the best forward available by some and could eventually step into a spot on Stamkos’s wing (but not this year — he was sent back to junior at the end of camp). As for that awful goaltending, the team did acquire Ben Bishop at least year’s deadline. Between him and Anders Lindback, the Lightning have two young, gigantic goaltenders, and can hold out hope that one of them could still develop into a legitimate starter. Best case: One of the goalies emerges, and the team rides two Hart candidates all the way to the Atlantic’s final playoff spot. Worst case: Everything that happened last year, plus Lecavalier has a great year in Philadelphia. Offseason report: Columbus signed Nathan Horton to the richest UFA contract of the summer, a seven-year deal worth $37.1 million. Outlook: One season after being the laughingstock of the league, the Blue Jackets very nearly completed a remarkable transformation into a playoff team. They fell just short, but there was still plenty for Columbus fans to get excited about, including a Vezina Trophy for Sergei Bobrovsky, the acquisition of Marian Gaborik, and early signs that they may have found a gem in rookie GM Jarmo Kekalainen. All that still wasn’t enough for a playoff berth in a tough Western Conference, but that’s moot now that the team has moved east. Fourteen years after they entered the league, the Blue Jackets finally seem like a good bet to win their very first playoff game. Best case: They make the playoffs, then skip the “just happy to be there” phase and make some noise for a round or two. Worst case: They take that maddening half-step back that so many young teams do, and eventually fall out of contention in the Metropolitan. Offseason report: New coach. New GM. New franchise player. Other than that, a pretty slow summer. 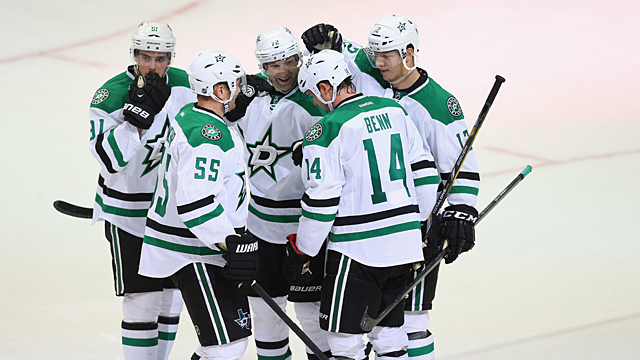 Outlook: New general manager Jim Nill came over from Detroit and didn’t waste any time remaking the team. He hired Lindy Ruff, who was one of the league’s most respected coaches during his 15 years in Buffalo. He made the blockbuster deal that brought in Seguin, while costing Dallas the criminally underrated Loui Eriksson. 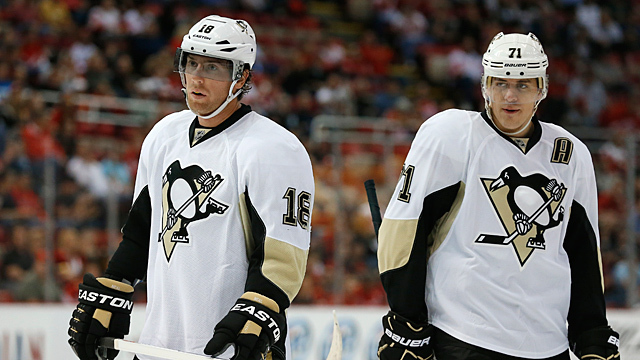 He added veterans Sergei Gonchar and Shawn Horcoff. So the Stars will be much different. Will they be better? That may depend on Seguin maturing into the superstar he was expected to be, and anytime your season is riding on Tyler Seguin’s maturity you can’t be too confident. But if anyone can figure out how to handle the situation, it’s Ruff; he spent years dealing with Dominik Hasek, so there’s probably not much Seguin can do that will faze him. Best case: The team gets one of those first-year bounces that we so often see when a new coach is hired, and it’s enough to put them into the playoffs. Worst case: Nill has laid the groundwork for future success, but has to wait at least one more year to see any of it. Good? Bad? Mediocre? Honestly, all bets are off with these teams. For various reasons, they could wind up almost anywhere in the standings and it wouldn’t be a shock. Offseason report: They made so many moves that only an obsessive weirdo would try to analyze them all. So … click here. Outlook: The Leafs’ front office (not to mention a large percentage of their fans) firmly believe that this is a good team that just spent the offseason getting even better. 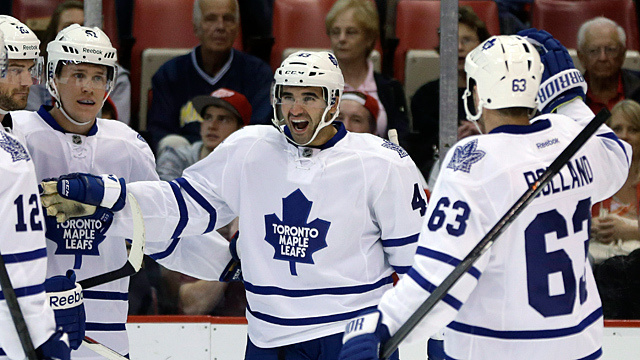 Dave Bolland and David Clarkson bring playoff experience, and both guys figure to be Randy Carlyle favorites. Jonathan Bernier could be a future All-Star, and at the very least combines with James Reimer to give the team two solid young goalies. Factor in returning stars like Phil Kessel, Joffrey Lupul, and Dion Phaneuf, plus developing young guys like Nazem Kadri and James van Riemsdyk, and the Leafs look like they’re finally ready to rejoin the league’s elite. You can feel the “but” coming, can’t you? But the Leafs weren’t actually all that good, and they’ve managed to make themselves even worse, according to a vocal segment of the hockey world. Rob Vollman’s excellent Hockey Abstract came up with a comprehensive metric for measuring luck and ran it for each of the past five seasons, and it rates last year’s Leafs as the luckiest team the league saw in that time. Meanwhile, Clarkson’s deal was widely criticized, and the Grabovski buyout that paid for it may have been even worse. Tyler Bozak frustratingly insists on continuing to be Tyler Bozak. The salary cap is a mess, half the team still needs extensions, and now they’re giving away prospects. Best case: Bernier is a star, Clarkson takes the city by storm, the young players continue to develop, Carlyle wins Coach of the Year, and Leafs fans spend a long playoff run giving painful wedgies to sobbing stats nerds. Worst case: The percentages catch up with them, their luck evens out, Grabovski scores 70 points in Washington, Jake Gardiner sets out on Lake Ontario in a homemade raft to escape Carlyle, the Leafs come closer to last overall than to the playoffs. Martial law is declared. The city burns to the ground. MLSE announces that it’s raising ticket prices. Offseason report: Anaheim traded Bobby Ryan to Ottawa for a package that included blue-chipper Jakob Silfverberg, a pick, and a prospect. Wait, are we all calling that the “Silfver-for-Silver” trade yet? I hope we are. Outlook: The Ducks had the league’s third-best record last year and, with the exception of Ryan, are icing virtually the same roster. That should be good news. Instead, they’re being picked as a borderline playoff team. What’s up with that? Well, not to put too fine a point on it, but there’s a strong suspicion that last year’s success was a fluke. Advanced stats that seek to measure luck had the Ducks pegged as a possible mirage even before they cooled off toward the end of the season. Losing in the first round, even to a strong Red Wings team, certainly didn’t help that impression. None of which is to say they can’t still make the playoffs in the West. They’ve got two superstar forwards (Ryan Getzlaf and Corey Perry), two strong goaltenders (Jonas Hiller and Viktor Fasth), and two inspirational veterans (Teemu Selanne and Saku Koivu). But a Stanley Cup threat? The math says no. 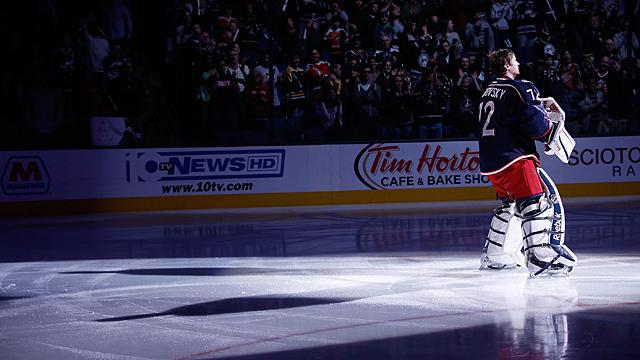 Best case: Teemu Selanne: the dramatic final Cup chase. 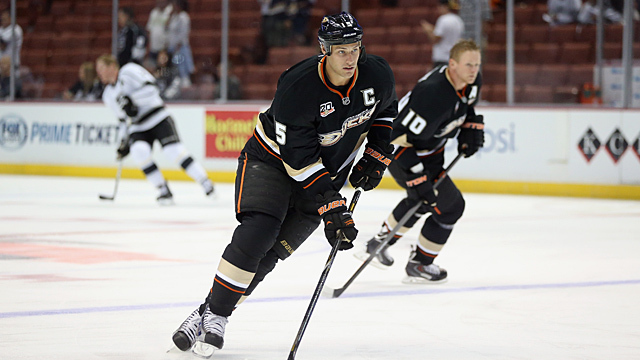 Worst case: Teemu Selanne: the trade-deadline watch. Offseason report: The Canadiens signed veterans Danny Briere and Douglas Murray, and traded for enforcer George Parros. Outlook: It seems odd to have the Habs in this section, given last year’s surprising success. Everyone loves the Bruins, the Senators are the trendy bandwagon, and the Red Wings are new to the neighborhood. Meanwhile, last year’s division champs have somehow become the Atlantic’s forgotten team. That’s partly due to a relatively quiet offseason, but probably more of a reflection of the hockey world’s apparent lack of faith that this is a legitimately good team. After all, they were just one season removed from finishing dead last in the conference and looked awful in their opening-round loss to the Senators. So despite a good young lineup that includes two legitimate superstars in Carey Price and P.K. 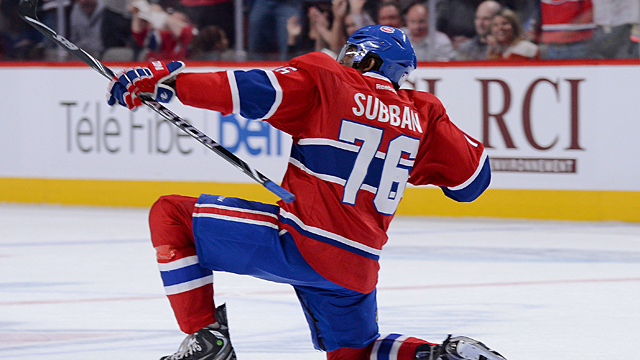 Subban, it’s probably fair to say that we’re still not sure how good this team really is. Best case: They become the NHL’s “nobody believed in us” story, winding up right back on top of the division. Worst case: Just like everyone seems to expect, Boston, Detroit, and Ottawa blow past them and they’re left fighting for a playoff spot with teams like Toronto and Tampa Bay. Offseason report: Vancouver finally traded a goalie. No, not that guy. The other one. I know, right? Outlook: Few teams made as many headlines in the offseason as the Canucks. In addition to finding a creative solution to their goaltending quagmire, they also fired Vigneault and replaced him with Tortorella. That’s going to make for an interesting transition, especially for some of the team’s key players, who’ll be asked to adjust to Tortorella’s aggressive, high-pressure, shot-blocking style. Meanwhile, the Sedins are another year older (and in the last year of their deals), Ryan Kesler is healthy again, and they’ve already started taking suspensions. But in the end, all eyes will be on Roberto Luongo. Chances are, his performance makes or breaks their season. Best case: Luongo shines and everyone remembers that it was only two years ago that the core of this team fell one game short of a Stanley Cup. Worst case: Luongo struggles (or even worse, gets hurt), the Sedins lose a step, Tortorella fumes, and the whole thing goes kaboom. Offseason report: Ilya Kovalchuk retired, the Devils made the Cory Schneider trade, and they signed the active career points leader. Other than that, not much happened. Outlook: Let’s see. 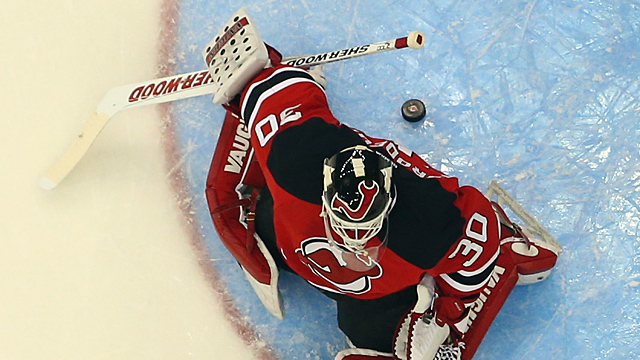 The Devils were already pretty bad last year. Now their best player has retired, leading goal scorer David Clarkson left as a free agent, and an aging Martin Brodeur is joined by five (!) others players on the roster who are 35 or older. There’s no way that the Devils aren’t going to be terrible. Or is there? Schneider is a huge upgrade over Johan Hedberg as a backup, and probably a significant upgrade over Brodeur as a starter if they go that route. They replaced Clarkson with Ryane Clowe, added Michael Ryder, and are another year closer to the primes of good young players like Adam Henrique and Adam Larsson. Beyond that, there’s some evidence that last year’s team was better than their record indicated. In its projections for the coming season, Hockey Abstract has the Devils at 105 points. I won’t go that far, but a return to the playoffs seems realistic. Worst case: Last place overall. Seriously, I don’t think there’s a team in the league that’s harder to forecast than the Devils. Offseason report: Edmonton hired arguably the best coaching prospect in the league, Dallas Eakins. Outlook: After recent struggles that led to three straight years of drafting first overall, the Oilers finally seem ready to flip the switch and become contenders. The defense is shaky and goaltending is still a question mark, but the first two lines are stacked with so much explosive offensive talent that it shouldn’t matter. They’ll be fast, exciting, and almost certainly good enough to make the playoffs for the first time since the Cup run in 2006. Sounds good, right? The only problem is that previous paragraph was actually a description of last year’s team. Oh, I’m so tricky! That squad, of course, stumbled through yet another lost season, improving slightly but never really contending for a playoff spot. Is there any reason to think it will be any different this year? At the risk of getting suckered in yet again, yes. The young stars should all be better, the defense should be marginally better, and Devan Dubnyk continues to mature into a reliably solid goaltender. Add in a new coach with a track record of success on young teams, and this has to be the year the Oilers finally break through. Probably. Maybe. Best case: The Oilers make a one-year transition from afterthought to 100-plus point powerhouse, much like the 2007 Penguins or 2009 Blackhawks. Worst case: They’re the most entertaining team in hockey, in the sense that they lose 6-5 most nights. Offseason report: The Senators lost captain Daniel Alfredsson to free agency, which made everyone really sad for about five minutes before they swung a deal with the Ducks to replace him with a better player in Bobby Ryan. Would it really be that shocking if this team took a step (or several) backward? They’ve lost Alfredsson, their leader and face of the franchise for more than a decade. Paul MacLean is going into his third year behind the bench, a time when some coaches start getting tuned out. 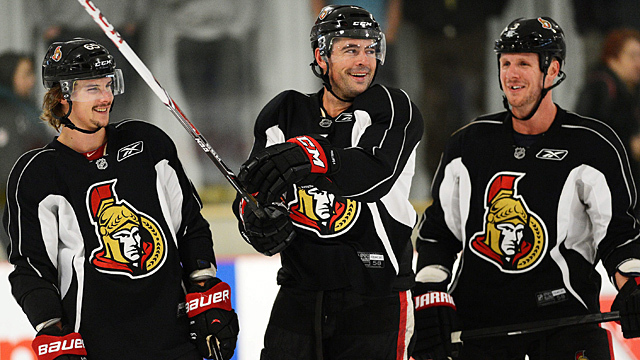 Craig Anderson is coming off a career year he’d seem unlikely to repeat at the age of 32. And it’s not like last season’s injuries couldn’t happen again, given that Spezza has had back trouble for years and Karlsson is a defenseman who weighs roughly 110 pounds. Oh, and they say they’re going to have to be one of the lowest-spending teams in the league for reasons nobody can quite figure out. This doesn’t feel like such a sure thing anymore, does it? Best case: The fancy stats trump the negative narratives, and the Senators make a run at the Cup. Worst case: They fail to make the expected leap, which we all chalk up to their being yet another young team that had a little too much smoke blown up their behinds too soon. 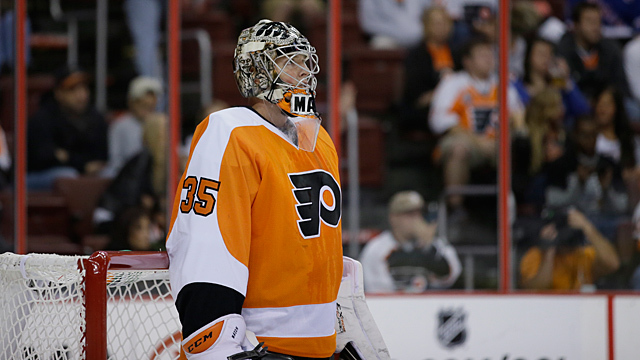 Offseason report: Philadelphia bought out Ilya Bryzgalov just two years into a $51 million contract. That pretty much makes him the most successful Flyers goalie of our generation. Outlook: There were worse teams than the Flyers last year, but probably no bigger disappointments. They went into the season as a Cup contender, then saw just about everything go wrong. To their credit, they spent the offseason making aggressive efforts to fix the team. In addition to dropping Bryzgalov, they bought out Danny Briere, signed Lecavalier and Streit, and brought in Ray Emery as a goaltending option. Oh, right, goaltending. I suppose we should talk about that, given that it’s been the weakness that torpedoed just about every Flyers season since Ron Hextall left. This year’s starter is Steve Mason, the former Blue Jacket who became available after losing his job to Sergei Bobrovsky. That’d be the Sergei Bobrovsky whom the Flyers ran out of town last year, and who then won the Vezina. As for Mason, let’s just say the hockey world isn’t sold. He’s the sort of guy who inspires blog posts like this one, which argues that he has a real chance at significant improvement, then adds the caveat that “the expected improvement probably isn’t even enough to even get him to the ‘low-end starter’ threshold, let alone ‘good goalie. '” Enjoy your time in Philly, Steve! Best case: Mason plays just well enough that the rest of the team’s impressive young talent up front leads them back to the playoffs. Worst case: At some point during the season, Vesa Toskala looks at his ringing cell phone and tries to figure out who he knows in the 215 area code. Maple Leafs-Canadiens at 7 p.m. ET, Capitals-Blackhawks at 8 p.m., Jets-Oilers at 10 p.m.